I talked about “abstract inspiration” in my book and this photo, I took recently in Milan, is perfect example of this idea. Sometimes I think the readers of this blog take the images too literally as my suggestion of what you should wear or what I think is super fashionable. To be honest, I’m not sure I actually like anything she is wearing. However this image, as a concept, makes me think… but in the abstract. Most of the designers I know work this way. They might look at a shot like this and think “uhm….matching hat and coat…uhm interesting, but I wouldn’t do the matching with color but maybe a print instead.” Or, maybe it makes them think about the contrast of a soft, floppy hat paired with a super tailored, structured coat. To me, this image is in the same vein as the image below of the old Italian gentleman, with the hat and coat that are both patterned. I don’t know if anyone would run out and try to copy this look exactly, but it inspires us in an intangible way. If you remember this photo was one of the images on Lucas Ossendrijver’s, Lanvin Homme, mood board when the The Selby shot his design studio. All I’m saying is, sometimes, these images can make you think about something totally different than what the actual shot portrays. bella! and the opa is WOW! go opa!! how funny, I took the same girl in hot pink, she was out of the Dolce & Gabbana show! Scott, completely see where you're coming from and agree with you. Seeing a particularly image might not provide direct inspiration when thinking about what to wear and how to dress in the future but can set off a kind of 'chain reaction', I think. In fact, it's probably where most people's inspiration comes from. I guess it boils down to always keeping your eyes open, approach what you see with an open mind, and deconstruct and reconstruct it as one sees fit? Ah, the wonders of human imagination. 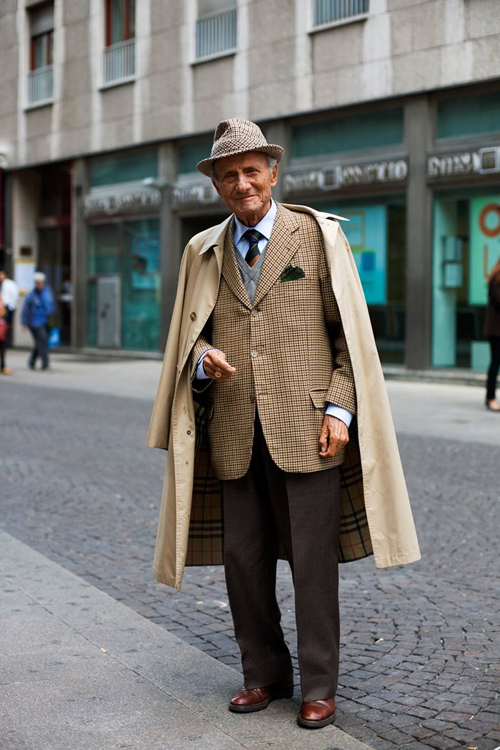 I quite like the old Italian gent's coat, jacket, and hat patterns. hm, actually i don't think that your readers take your images as a kind of style advisor. Many comments show that. Of course, sometimes it's all about what people in your images wear, because most of them are indeed very stylish and fashionable. but i'm sure that most of your readers do get that it's about the whole concept of the image and not about a hat, bag, coat or colour. To me, this image is in the same vain* as the image below of the old Italian gentleman with the hat and coat that are both patterned. I don't know if anyone would run out and try to copy this look exactly but it inspires us in an intangable* way. i love to wear dresses inspired by my favorite abstract painting. i love your point of view. cool inspiration board. I think that's really nicely put. There will always be something in a picture that will inspire somebody, somewhere. I think that I like the fashion statement the older gentleman is making. I love it! my attitude to your photos is to use them. I use them to satisfy my natural "visually greed" (quoting you). I use your blog to open my mind on the world and on the difference between people. Because not all the people are equal, fortunately! true, inspiration can be seen in anything. That's why I try to live with all my 5 senses in stereo ! You could miss out on so many things when you don't use those senses to the fullest ! When I design I usually am like that… tons of images up of places, people, things, and anything that help the muses inspire me… it's a combination of your surroundings what inspires you… have a great day! i agree with you. it´s all about being inspired and motivated to think about your everyday life and what you´re doing with your possibilities. 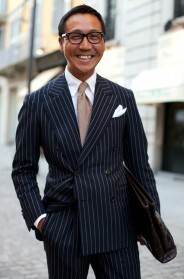 That is a very good post, because it confirms to me the point of streetstyle blogs. I was first enthusiastic about them, then surprised by the number of them (& the poor quality of many). I also tend to think many have lost the plot, what with their heavy focus on celebrity spotting. (I really don't care what the Olsen sisters were wearing, even at a Lanvin show). Thanks for a very good post, which shows while your blog is miles ahead of many of its copycats! "It's not where you take it from, it's where you take it to." love the hot pink hat and coat in the first photo! When you become a teenager you begin to worry about your beauty and attractiveness, and I always remember my father telling me not to get obsessed with my nose, my hair, my breast… but to try to look at myself as a whole image! The trick might be on finding those little details which make the whole image different and stylish. I am liking your text-based posts…taking the blog to the next level. I feel like you are hitting on exactly what so many fashion aspirants miss–they get caught up in the individual items and not the big picture. They see the image for what it is, not for what it says or the feeling it conjures. Beyond "it" bags and shoes, I regularly see people covet everyday items in uninspired ways, as if buying a Saint James shirt because you have the money is a ticket to chicness. The abstract inspiration is certainly way more interesting than a finished look. My questions mostly circle around more abstract themes, e.g. a colour or a certain shape. Actually, I don't even think I wear most outfits the way I show them on my blog – it's about the ideas, more than anything else. I totally agree with you, always thought your pictures were a "source d'inspiration"….I also love the idea that everywhere in the world people are expressing themselves with clothes, and inspiring us too! This post encompasses the reason I subscribed to your blog. I'm a costumer and a budding fashion designer, and, in looking for inspiration, I happened upon you. I've been saving your pictures in a stash as inspiration both for the looks I create and in creating my own personal sense of style. Thanks for providing me a stepping stone. that is exactly what I was thinking (I just didn't know it, haha)! and then you walk around the internet saying that you "can't put words so beautifully together as garance does"! you took my thoughts and wrote them down, thank you! Honestly, I do not think everybody does a copy-paste-wear show us the looks. They are interpretations of what you consider your own trend or not, beauty, rarity, attitude, knowledge to be … When contemplating your bums, I could get through his eyes, his gestures, his attitude, a way through life, a story hidden or not, beauty, life … although I value in each generation look different attitudes life, fashion, its ironies and contradictions. i loove opa styles…watch them in the train and on the streets…but i am to shy to ask them where they got their clothes from…sometimes it looks like labels like supreme are inspired by their style…nice pictures!!! I agree with you.Often an image brings you to an idea and this one to another one and this to another until you arrive to news and interestings thoughts that could be far from the original image or picture.That is the important and significant:the result …that can be also a first sped to new ways. I totally agree with your idea of abstract inspiration. I know myself I take from it too. 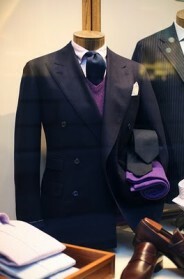 I will see someone or a picture, and I may not want to wear the exact clothes, but I may like the proportions, silhouette, or the color combination. For the girl, I like how she pairs the magenta with the brown boots. I think it creates a more sophisticated combination than black and magenta. 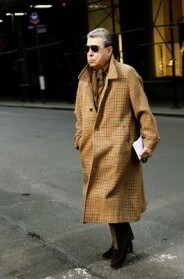 The older gentleman, fantastic, I like how we see all the different plaids, but also his poise. The way the trench is over his shoulders. I can understand how some visitors may use these images more literally than creative inspiration. Which is totally viable and a great way to cultivate ones own style. however, many others also visit to experience a concept, a feeling or a mood in order to inspire their own expression, whatever that may be. Thank you for this succinct and articulate way of expressing this idea. I often notice that I design my home (current and past) interiors using menswear as my inspiration. I agree with the post by Stephen. truly inspirational words, thank you! That is why humans are such interesting creatures to view, we perceive and bring our own perspectives into the image and take what motivates us to a new level. Where many blogs of late focus on street style, and with that the breaking down of the photo into components, your images are framed so as to take a snippet, a moment, and the brain reads as such, definitely about the art/photography than the subject in most cases. Love her coat, bag and hat. No crazy about the boots. but I like the colour! it's so fresh and eye-catching! Yes, Scott! Again, LOVE YOUR EYE. Love the action shot…beautiful color. Thanks for sharing. I see what you mean with the inspiration board. It is wonderful to come onto your site and think about clothes, how to put them together differently, how to wear just about anything but with a style. I agree. Her outfit as a whole isn't really something I'd look at and say "I wanna wear that". She does stand out though. I agree, it's all about inspiration. Yes, I actually agree with you. This just gave me some inspiration, for my next blog post, thanks hun! Sometimes, coherence is conceived and inspired by chaos. HEAR HEAR!! What you say is SO TRUE!!! Images can go beyond the literal. This is very interesting Scott. Funny, but when I look at both of these photographs I find them oddly comforting. Let me explain. Since I am an artist myself, certain things create order for me. Artistic order, order in my thinking as an artist, i.e. how I appreciate art. Color and pattern are definitely way up there. Both the striking color of the woman's hat and coat, paired with the boots and purse that are somehow out of place yet still they work, and the gentleman with the matching hat and coat and everything else tonally perfect is to me the way things should work. In balance, but slightly out of balance. Am I making sense here? For instance; when I look at the photograph of the women, her boots and purse are what I see first rather than the hat and coat matching, and when I look at the photograph of the gentleman, his camels hair coat is what I see first rather than his matching coat and hat. There, I've said it. Abstract is right, and I like it! well said. your blog will continue to inspire well into the future. i adore all your photos. That magenta coat is stunning! What a bold look with the matching hat. Well said. Also, I love the look on the woman – especially that the boots and coat and hat are in varying shades of magenta. fashion is art. if anyone can understand that, then they can understand why some outfits are purely there for us to look and drool at – or to make us think and ponder about color, shapes, texture, etc. The fashion that is "unwearable" in "real life" should make you take a 2nd look, but should it always be worn? No way, that would take away from the beauty of it! On another note, i definitely love the girl in purple. I think, without THAT HAT, it would not have EVEN CLOSE to the same effect that this picture has, agreed. I also love the color combo. I rarely wear dark shades of purple, b/c its such a heavy color. (although this is somewhat of a fuchsia) I have a gorgeous purple blouse i wear in the summer; paired with white linen pants, its perfection! Not heavy at all, but refreshing. Oh, and i think the man in the hat looks fantastic. i wish men in America dressed up more. yeah, yeah, yeah. but the bag and the boots still don't go well together. I love the colorful outfit of the woman, the bag is very beautiful, the other photos are also great. As a designer I can understand and appreciate your feelings on abstract inspiration. When I look for inspiration from photos/images I design from my reaction to it. Sometimes it could be the mood, a feeling, colors, textures, tones, contrasts, shapes, figures, etc. The gent reminds me of photos of the late Paul Castellano. This is going to be ridiculous, given the context of the post: Does anyone know where those boots are from? this color purple is great! Ohh, they're all so fabulous! Yip yip! As a man, I don't take much from the guy photos, but lots from the girls…I dress from the girls' images. I think I got 4 outfits out of "On the Street…..Graphic Chic, NYC"
wow that first picture makes me want to sport fuschia! That old Italian gentleman really sure got style. Love the plaid detail on his coat and blazer. Oh, and the pocket square and the tie and that hat, so perfect! I love her fuchsia hat! That picture of that King(?) in Ossendrijver's photo collection, where does he come from? To me, he looks like king Oscar the first or perhaps the second of Sweden, am I right? thank you for your eye Scott. I love when older men choose to go dashing and colorful rather than the drawstring pants-sweatshirts route. This guy will be my role model when – and if – I make it to his age. Well said, Scott! I completely agree with you. It's like you have said previously, and I constantly repeat to myself because it is so perfectly put "IT'S NOT WHAT YOU WEAR, BUT HOW YOU WEAR IT". I do like how both the young woman and elderly gentleman have a similar composition capped off in their own suited style! I think that somewhere there is a photo of Rex Harrison dressed in almost the same manner. I love that there are no rules when pairing up prints or geometery….. I'm loving this purple ensemble! The hat is superb! As a fashion design student, 80% of the designers around me work this way. I don't believe fashion is always art aesthetically, but certainly in the process of design development. Chervelle Camille, I do believe that Scott was not the first to relay that quote. My great grandmother passed it onto me many years ago. It was quoted from Armani, I think. That's exactly how I use your pictures for inspiration. I have quite the collection of photos on my computer (sorry!) and I use what speaks to me. thank you for talking about abstract inspiration. recently i think you also referred to "visual greed" in a similar way. i am always curious to see the comments of fellow posters but am often disappointed when i read comments such as, "She should have worn a different shoe," or "the length of the coat is all wrong." i feel these people are missing the point. as i understand it, the photos you post are merely starting off points – bits of inspiration which the viewer can take any (or no) part of- and not fodder for fashion critique. You can find inspiration everywhere if you look hard enough. It's good to not take fashion too seriously. In fact, perhaps the young lady with all the fuchsia is making some sort of statement, never imagining she would end up on the Sartorialist for it. She does make quite a composition! I like this whimsical, care to the wind type of outfit! I FEEL IN ORDER FOR PEOPLE TO DEAL WITH THE ABSTRACT, ONE MUST FREE THEIR MINDZ FIRST. TOO MANY RULEZ, TOO MANY BOUNDRIEZ!!!! ONE WILL NEVER UNDERSTAND BEING OR CREATING ABSTRACT,IF THEIR CHAINED DOWN BY A CONFORMIST VIEW!!! LIKE SCREW WHITE AFTER LABOR DAY!!!! I'LL WEAR WHITE DRESS SHOEZ WHENEVER I FEEL LIKE IT!!! WILL PEOPLE THINK I'M CRAZY? YEZ BUT SO WHAT!!!??? I TOOK A STAND TO BREAK OUT OF THE BOX!!! "Sometimes I think the readers of this blog take the images too literally as my suggestion of what you should wear or what I think is super fashionable. To be honest, I'm not sure I actually like anything she is wearing." love the pictures. 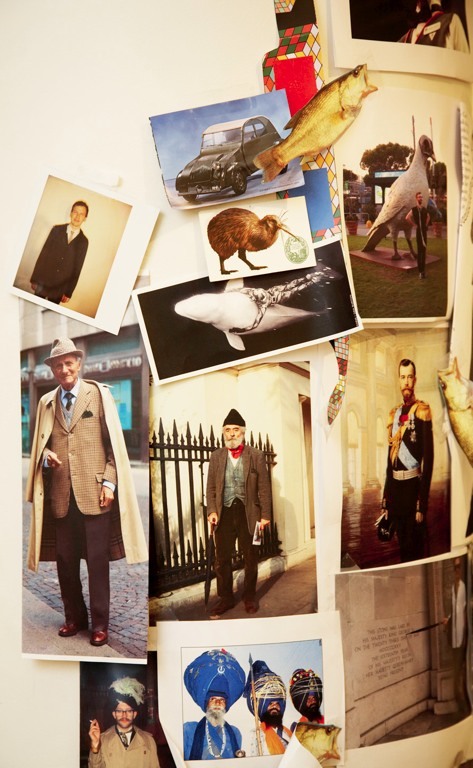 especially the ones of the old men in the outfits.so normal for them but inspirational for others. Where are those gorgeous brown boots from?! totally agree. even in large design companies it seems inspirational images can be misinterpreted or taken too literally. we're talking forest–they're focusing in on a single tree. Oh my God, finally a PURPLE COAT! You know, purple is my colour I love boh to watch it and wear it. Also love the style of the lady, nice boots – A bi of the western, a bit of the Italian cities, chic heels. Anyway, great blog, close to my style. My only sorrow is that in my hometown (Cluj, Romania) people are too limited to express themselves with their outfit, so usually i'm strange bird on the streets. I believe that is what separates you as an artist. You see subtle suggestions, they inspire you to think. It doesn't require much thought to buy clothes "off a rack" as you say, but then again, as Oscar Wilde once said,"Life imitates art". Actually most of us are just enjoying the beautiful photographs, and it is fun to see what people look like in cities far away. ahh… I love that color!! !